"Creative vibe from the moment you enter"
Westpoint Studios is one of the best boutique recording studios in London and has been at the cutting edge of music creativity for the last 20 years. 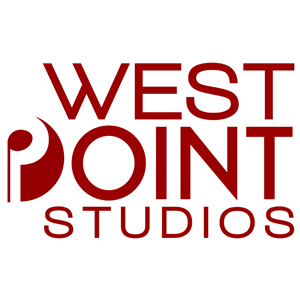 Also known as one of the leading choices for music producers and top artists, Westpoint Studios' client list includes the likes of: Dave Stewart, Jeff Beck, Tom Jones, Primal Scream, Simply Red, Seal, Bjork, Kylie Minogue, Take That, La Roux, Pet Shop Boys and many more. Precision built by the crème de la crème of acoustic design, 'Recording Architecture', the studio is a unique blend of state-of-the-art recording facilities combined with a daring white interior design. Natural light floods the 22-foot control room through tall frosted glass windows and is made homely by the relaxed feel and chill out zones in every room. At the centre of Westpoint's control room is the purebred SSL 48 track 4K G Series and the highly acclaimed ATC SCM 200 monitoring system for a listening experience recommended by all who have had the pleasure of experiencing it. For multi-track recording we have the latest Pro Tools HDX system with a staggering 64 i/o via apogee symphony converters. Add to this over 100 balanced tie lines for you to record in any room (yes even the kitchen!) and it's easy to see why even clients with the most complex of sessions find it a synch to set up effortlessly into our facilities. Westpoint Studios is an oasis of creativity in the heart of West London and promises an unforgettable recording experience with results that are hard to beat.